The company is a family business founded in 1991. The main activities involve the import, sorting, recycling and distribution of second-hand clothing. Situated in two locations in Romania, one in Vlaha, Cluj county, and one in Târgu Mureș, Roseco is one of the biggest recycler, distributor and reseller of textile second-hand clothing in Romania. The sorting center has been designed to integrate the most efficient processing and selling systems in the industry. In average, the company sorts and recycles over 420 tons of textile products per month. Each product is sorted by hand by the qualified staff of the company. that, in cooperation with local authorities and with waste management companies, we find innovating and most efficient solutions to manage wastes. We understand the need to identify and implement sustainable recycling solutions of second-hand clothes. We understand and are aware that we need to establish a responsible behavior as regards the environment. to become absolute leaders on the market as regards high standards of services and quality, creating optimal distribution rutes, to be able to serve and satisfy the needs of our clients. consists in the responsibility towards the environment. We admit that this contributes strongly to the company's success on the long run, this is why we take responsibility for our actions and we wish to be a role model thanks to our products and to our endeavours. In our sorting plant, 21 tons of raw materials are processed every day. During sorting, there are manufacturing processes that are periodically improved to ensure a constant and stable quality throughout the year, regardless of the season. Beside these processes, we have a control team that makes sure on a permanent basis of the quality of the more than 200 types of products resulting from the sorting of the raw material. Ever since 1991, the spouses Székely sensed the people's need to buy clothes. They believed that the best opportunity was to start a business with second-hand clothes, to cope with the market demand after the Revolution. It all started with a van filled with clothes, with only one employee and a handful of clients. From a small seed warehouse, situated in Vlaha, Cluj county, where the business had started, it was extended to an animal stable, which was later refurbished to cope with the market demand, making room for a commodity sorting plant and a wholesale warehouse, in 2000. The business also extended to Târgu Mureş, in a 2000 sqm warehouse. 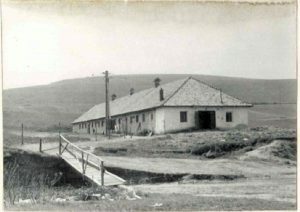 Due to the lack of space, the wholesale warehouse was moved from Vlaha to Someșeni, and later to a much bigger one in the neighboring town of Apahida. It was barely in 2012 that they returned home into a specially built hall room that would satisfy the needs of Roseco in the town of Vlaha. Today, in the logistic park of Vlaha, the sorting plant and the wholesale warehouse are situated under a 6000 sqm roof. The number of employees has increased to 170, and the clients are as many as that. RoSeCo srl is member of Mendola Investment Group.